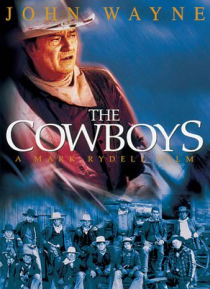 When all the adult men go off in search of gold, a veteran rancher is forced to hire eleven teenage boys as trail hands, and in the process of driving 1200 cattle across 400 rough miles, the young cowboys become cowmen. Starring screen legend John Wayne, with Colleen Dewhurst, Bruce Dern and A Martinez. From director Mark Rydell (ON GOLDEN POND).